William Heyen was born in Brooklyn, NY in 1940. 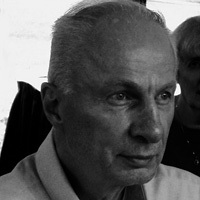 He is currently Professor of English/Poet in Resident Emeritus at SUNY Brockport. A former Senior Fulbright Lecturer in American Literature in Germany, he has won NEA, American Academy & Institute of Arts & Letters, Guggenheim and other prizes and fellowships. His work has appeared in several hundred anthologies and magazines. Among his thirty books, Crazy Horse in Stillness won 1997’s Small Press Book Award for poetry, and Shoah Train: Poems was a finalist for the 2004 National Book Award. His Home: Autobiographies appeared in 2006. His Poetry Kanto poems are his first to appear in Japan.